It seems natural to want to do some tanning over the summer, or a sunnier spring break. You look healthier. The bronze makes your features look more toned. That bit of color can be a total confidence boost. But even though it feels good, you’re taking a huge risk when you tan. It can lead to skin cancer, burning, scarring, etc. Avid tanner, Mags Murphy, learned about the dangers of tanning the hard way and she’s been posting on Facebook to warn others how harmful tanning can be. 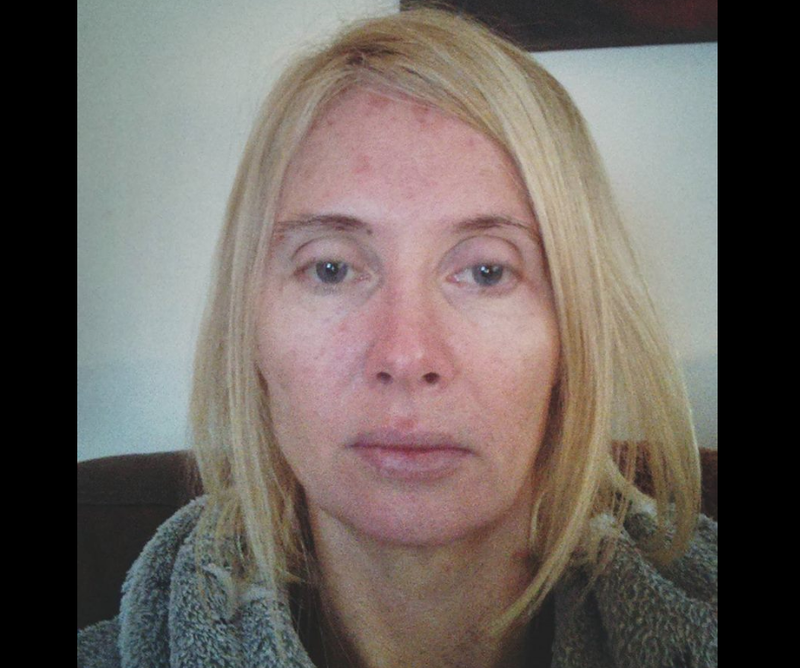 It wasn’t until the Dublin native found precancerous skin cells on her face that she decided to no longer ignore her sun-damaged skin. Murphy has started applying Efudix, a topical cream skin treatment, that will burn away the precancerous cells. For the past two weeks, Murphy has been posting photos of her treatment process. “My face feels like a giant cold sore. Wish I had a giant fast forward button,” Murphy says on Day 12. And in her most recent post (Day 19), Murphy likens herself to a “red panda.” But even though she’s suffering, she’s grateful that over one million people have seen her Facebook page. "Someone asked me earlier what was the signs that made me get them," Murphy writes in a Facebook post. "I had visible marks on my forehead for years 8/9 but because u could cover them with my hair they didn't bother me , one doctor actually told me it was psoriasis so at one stage I was letting the sun at them because I heard it was good for psoriasis." If you have a “crusty” mark like this that isn’t going away, it’s time to see a dermatologist. "I'm sharing this to try and raise awareness to sun damage and using high factor sunlotion," Murphy writes on her Facebook page, "Mag's Muphys Journey." She continues, "I heard all the warnings years ago and closed my eyes and ears to it all maybe someone will open their eyes to this if it's closer to home." We urge you to check out Murphy’s Facebook page and follow her progress. Exposing ourselves to the severity of the after effects of tanning is what we need to start taking skin cancer and skin protection more seriously.